Upgrading your business’s security system is cost-effective, requires minimal upkeep and gives you peace of mind. While upfront costs can be significant, leasing programs are a great option to help you acquire equipment while preserving your credit lines and keeping cash available. Emerging security trends like advanced video surveillance, mobile automation and cybersecurity can be a valuable asset to any company. Whether you want to record customers entering and exiting a store or employee workspaces, new advanced video surveillance technology can provide a crystal-clear, accurate portrayal of events. HD megapixel cameras: Prices are expected to continue falling throughout 2015, meaning that high image quality is affordable for many businesses. The clearer the picture, the more effective you can be in identifying issues. Business intelligence software: Integrating your video surveillance with intelligence software can give you measurable data. Not only will it keep your business and employees safe, but it can lead to improvements in other areas. Security companies are investing in mobile technology to give business owners the ability to control security features remotely. Beyond just locking doors, these apps and gadgets can also control heat and electrical systems, cutting down on utility costs and protecting your building from fires. Mobile automation can be linked with video surveillance giving you an inside look no matter how far away you are. Both physical and online security is something all businesses should consider. Investing in a security system or equipment update can make a huge difference and prevent unwanted threats that could risk lives, information or profits. The types of security equipment and software are unique to each business and a security equipment leasing program can make your investment financially possible. 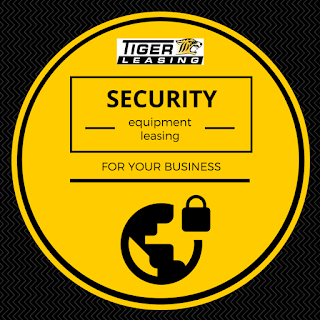 Contact an experienced Tiger Leasing representative to learn more about business security leasing opportunities.